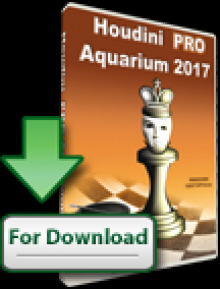 The 4th Annual Aquaprofit – Polgar Chess Day was held this past Saturday. It was a great success as usual, despite the major snow storm that hit Budapest the night before. Around 500 chess fans weathered the snow storm to celebrate the now traditional “Day of Celebration of Chess and its Queens”. “I am impressed by the tremendous interest for chess and this event year after year. 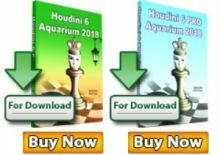 There was a huge amount of mainstream media interest (which is not typical for chess) including most major TV stations, before, during and after the actual event”, shared Susan Polgar. Of course it was great timing for the publicity of the event that Judit just came back a few days earlier from Mexico City with a spectacular victory over Ivanchuk and Topalov to win the UNAM Invitational. There was one major change from previous years. 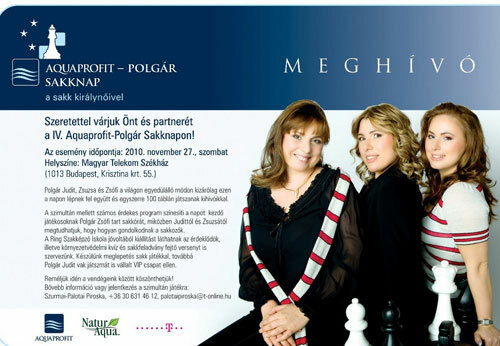 The Aquaprofit – Polgár Chess Day got extended to a full day event instead of only an afternoon spectacle. Therefore, numerous new colorful activities were added to the program. Some of them include the two exhibition games Judit and Susan played in front of the live audience. In the first one, they played while sharing thoughts, explaining the though-process during the game with the enthusiastic audience in separate rooms (Susan won that game, in which the moves were transmitted by cell phones). Later, they met up to play face to face in the latter part of the game. The second game was a “Trust-Chess” blitz game, (where all the pieces were silver looking, packaged in foil-paper), in which Judit swindled Susan at the end and balanced the score 1-1. Sofia gave an hour-long well-attended lecture for beginners, which served also as an introduction to her new book: Chess Playground http://polgarchess.com. The book is aimed to introduce chess to the youngest audience, and is full of chess drawing, rhymes and puzzles. The book, which is already available in Hungarian as well as in English, is being used as the manual in one of the elite Kindergartens in Budapest where chess became part of the curriculum since this Fall. Pre-K students have one hour long chess session weekly, while K, has it twice a week. The co-authors Sofia and Judit had a book-signing of their first book together. Volume two is already on its way. The highlight of the event (which also included a press-conference, Q/A, autograph and photo sessions with the fans) was the usual 100 board simul by the three sisters. 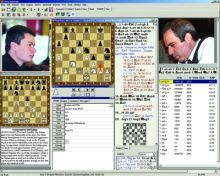 Among the opponents were numerous celebrities such as Andrea Temesvari, Ivan Fischer, and Marci Eszterhazy, just to mention a few. Also many GMs supported the event with their presence, such as the currently top-ranked Hungarian Zoltan Almasi, chess-legend Pal Benko (82) or the nation’s newest GM and Texas Tech Knight Raider Gergely Antal, etc. Susan also went on a chess show, hosted by GM Gabor Kallai, on a major Hungarian Sports TV station (similar to ESPN in the United States). They discussed the Aquaprofit – Polgár Chess Day, Judit’s spectacular success in Mexico, including her final game victory over Topalov, as well as Texas Tech Susan Polgar Institute for Chess Excellence, the Knight Raiders, and the unprecedented success of the program, etc. Susan Polgar said, “I would like to take this opportunity to thank all the sponsors and organizers of this wonderful day of “Chess Celebration”, and specifically the main sponsor Aquaprofit and its director Mr. Tamas Nadasi. And of course the initiative of my sister Judit whose brainchild project became a wonderful tradition”.